Vice-President I.U.M.A. & Member I.U.M.A H.Q. Born in Belgium, Ghent on 10 August 1961. 1991 was one of the first members of I.U.M.A. 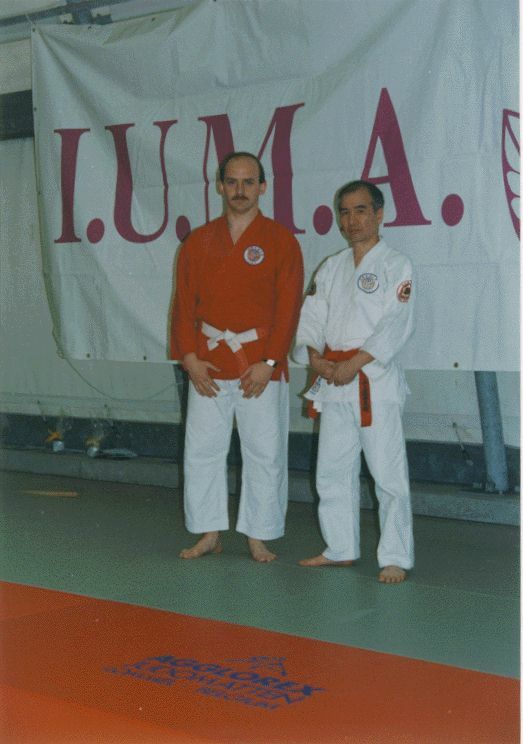 under Soke Jimmy Keido Yamaue, founder of I.U.M.A. 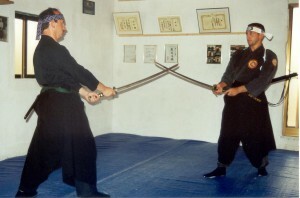 1995 started IAIDO , Eishin Ryu – Hoki Ryu with Shihan Tomita Seiji (Japan), founder of Ban Sen Juku , Osaka Aikikai Foundation & Kyoto Aikido Association. 1998 appointed as Vice-President I.U.MA. on 20 November, by Soke Vansimpsen Johnny. 1999 the 14th March, became 6th Dan Ju Jutsu / Nihon Tai Jutsu , I.U.M.A. 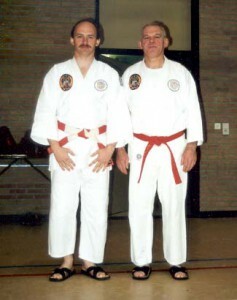 with Soke Vansimpsen Johnny. 2008 Started with Muso Jikiden Eishin Ryu Iai Heiho under Sensei Marc Mebis & Hanshi Masayuki Shimabukuro. 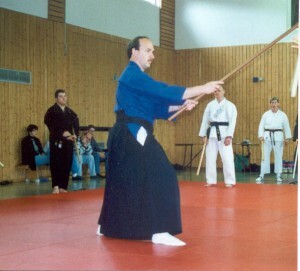 2011 the 15th March, received 1st Dan and License Fuku Shidoin in Muso Jikiden Eishin Ryu Iai Heiho from Hanshi Masayuki Shimabukuro. 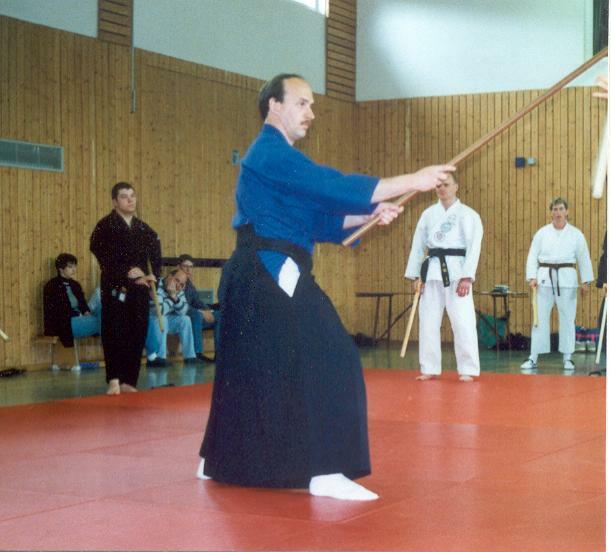 2012 the 6th October, became 2nd Dan in Muso Jikiden Eishin Ryu Iai Heiho, from Hanshi Carl Long. He has already organized several seminars in Belgium and has also been invited as instructor on International seminars in Belgium, Germany, Poland, England, Italy, Czech Republic, France, Switzerland and United States. 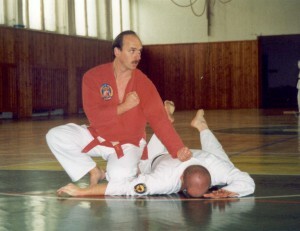 Instructor for special police forces & bodyguards in Czech Republic. His device : Practise each exercise a 1000 times, to do it once good. Don’t act as a bull but as a bull-fighter, a good technique is always essential. 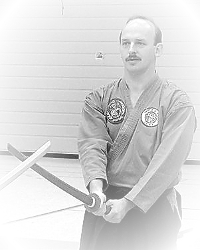 Onder leiding van Sensei Van Loo Herman heb ik er prachtige jaren gekend!!!!! Ik trainde er van 1994-2004. Een top trainer waar ik heel veel van geleerd heb,iemand waar je respect heel groot was!!! Goed was niet genoeg,perfectie was zijn doel. Als leerling heb ik heel veel stages meegemaakt, Engeland,Duitsland,Frankrijk,Leipzig,Tsjechië. Een man waar ik nu nog naar opkijk!!!! Thanks Sensei Herman ooit keer ik terug waar ik begonnen was!!! !